Released in 1986, Advanced DB Master 3.0 for MS-DOS is a flat-file database for DOS. Advanced DB Master 3.0 was the first version of the DB Master line native to MS-DOS. 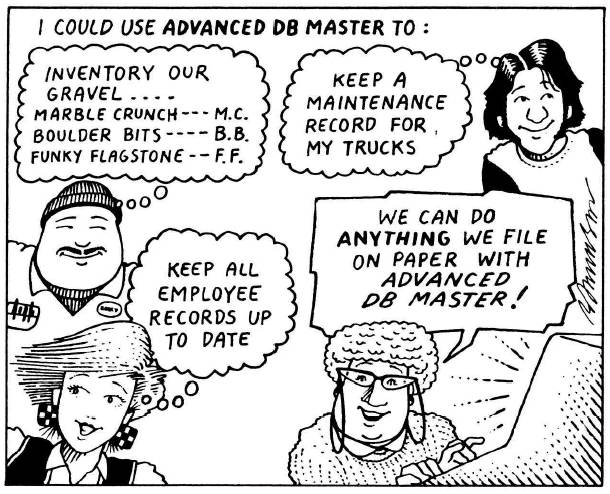 First released ~1981, DB Master and later Advanced DB Master were designed for what would have then been considered large databases on desktop microcomputers. It supported hard drives and spanning multiple floppy disks. It includes extensive data entry, formatting, and reporting capabilities. The original "DB Master" was developed by Stoneware for the Apple II UCSD Pascal system. Advanced DB Master was written by Macon Systems for the IBM PC. Initially, the IBM PC version also ran under the UCSD Pascal system. Version 3 was the first for MS-DOS. Variants for the Macintosh and Atari ST were also available under the name "DB Master One". It appears that DB Master and Advanced DB Master are somewhat different systems. 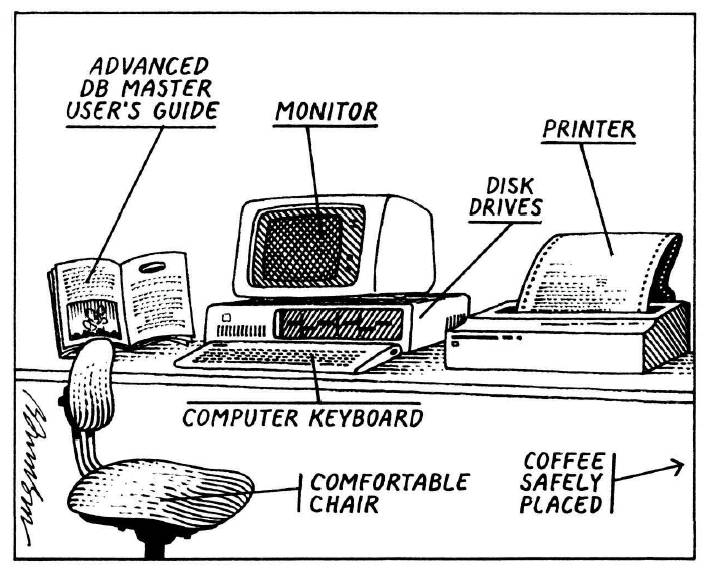 The original DB Master was developed by Stoneware and Advanced DB Master was written by Macon Systems for the IBM PC. Both were sold by Stoneware until it went out of business in 1986, at which time Macon Systems took over Advanced DB Master sales. As with many early development tools, DB Master is a rather uncommon piece of vintage software. It was not something a typical end user would want, but instead it was used by businesses and organizations. A funny thing about this particular copy is that is missing the reference guide. Apparently you had to send in the registration card to get the full manual! The tutorial, however, is fairly lengthy and full of fun illustrations. I actually had the privilege of briefly using the Apple II version once. The Apple II version could run on a II+ using a Corvus Systems external hard drive. Instead of AppleSoft DOS 3.3, it used the Apple UCSD Pascal operating system. The Corvus Systems drives were early 5 megabyte hard drives. These drives were not compatible with and predated ProDOS. AppleSoft DOS 3.3 could not use the hard drive as one big volume, but instead "partitioned" it to look like a few dozen 140K floppy disks. The Pascal system, however, could use the entire drive for the database.